We're using a parametric filter to constantly select the best-priced motherboard while meeting selected criteria. In this case, we are filtering for B360 chipsets and 4 DDR4 DIMM slots for future expansion. The compatibility engine will filter out anything not compatible with the build. The motherboards are also capable of using the CPU's integrated GPU, in case you need to RMA your GPU or are waiting for a sale or upgrade. We have set a parametric filter for the best-priced Radeon RX 570, which will let you play any popular game available today, including Fortnite and PUBG. The Cougar MX330 is an ATX mid tower case with 2x USB 3.0 front panel ports, which is a bit of a rarity in the budget sector. It's especially uncommon to have those ports accompanied by 2x USB 2.0, which this case has as well. It fits full-length video cards, and this version actually features a tempered glass window. It also provides numerous cable managment holes. I like the build but i have a few questions why would you got for the i3 8100 and not 8350k. Overclockable chips are normally about $50 more expensive and don't come with a cooler, so if you're on a budget/aren't doing anything cpu intensive/won't overclock, getting a non k processor is better. It costs significantly more, especially once you account for the cost of a cooler and a Z motherboard to take advantage of the unlocked multiplier. At that point, you're looking at pushing into the Modest build territory. Because prices for older parts tend to rise because they're no longer in production, so you'll effectively be paying more for less unless you buy it used. "why not a old i5"
Because we don't use out-dated parts for build guides. I've never used an i3 for anything in the gaming realm. Will this play everything, and if so, roughly how long can we expect the 8100 to reliably play everything? The i3 8100 will perform the same, if not, better than the past gen i5s (and maybe even i7s) because starting from this gen, i3's now have 4 cores, instead of 2 core/4 threads. As for gaming, if you pair it up with the rx 570 (or 1050 ti/ 1060), you will have a very enjoyable gaming experience. Take it from me. I was a noob and went for a 2 core/4 thread cpu with a gtx 1050. However, I still get very playable framerates with games like fortnite, pubg, overwatch, destiny 2, etc. on mid/high settings. For your build, you will get much better frames with even more demanding titles. I know until I built a new computer I still had an i7-3820 processor from several years ago. Just recently I realized that particular i7 is a quad-core processor running at 3.6 GHz... The 8th generation entry-level i3-8100 is also now a quad core... and also runs at 3.6 GHz... so it's pretty much the same as what the top of the line was about 7 years ago. As far as gaming, obviously new processors blow the old one out of the water... but I never had any problems at all using a quad-core 3.6 GHz processor for modern games... and newer RAM is significantly improved from what was compatible on that old build! If you're going entry level, why bother with a $70 case? Entry level should be about saving as much money as possible, and you can get a case that'll do the job for half the price. If I'm looking to build a cheap gaming PC, I don't really care about having a case with a glass window when I can save $35 and get a case without one. You brought up a good point, but I would add that you shouldn't just go for the cheapest box overall. Proper airflow is necessary as well to help keep your tower cool, even if you have coolers for your CPU and GPU. Spending a little extra to get more airflow is an acceptable tradeoff IMO. But that depends on comparing the boxes for your build. The case isn't currently available in Britain as far as I can see. Is there any other case that would work, or anywhere I could find this case? well you would want to go for ryzen and 16 gigs of ram. One word: Nice for a budget PC! It sounds like this build will run pretty much any game. So why would anyone spend more on a higher level build? What are you actually getting for your money to go with one of the higher end builds? because if you're on a budget, a full-size atx board might not be feasible. when i built my rig, i tried to stay as close to $500 as i feasibly could, and i built mine around the time that graphics cards were inflated due to mining. yeah, a good atx board wouldn't necessarily be /that/ much more expensive, but every dollar counts when you're on a budget. Hey, just had a question about having both an SSD and HDD. I've never built a PC before, so could I get a little insight into the benefits of having both for gaming? 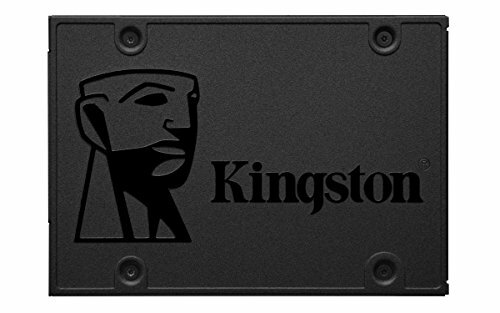 What would the impact be if I switched out an SSD for a cooler, since I'm not confident in the stock cooler's strength? An SSD provides much quicker loading times for whatever is stored on it. Most people put the OS on an SSD as well as their frequently used apps and small games. It just makes your PC a lot quicker when using it normally. You would use the SSD for a windows boot, making your widows quicker, I'm not super smart on this but from basic knowledge it makes your boot quicker, but because it doesn't have enough space, you would keep the games separate, on a hard drive. Hope this helps, if i'm wrong please correct me someone. You can get high capacity SSDs. I want a build that will be able to play Destiny 2 on medium to high settings at 900p 60fps, as well as Skype and a chrome tab or two in the background. Like I said, 60 fps is the goal, but I'd be fine if it dropped as long as it doesn't go below 25-30 fps. Will this build be able to handle that? Also, can I take the Sata drive out of my old PC (build model p6654y if that helps) and put it into the new PC to avoid buying windows 10 again? Thanks for any help! Can i change the case to a different mid tower? Or will it affect any parts from fitting? this is my first time building a PC and i dont know much. would this run most games at 60 fps 1080p or 720p? or a higher fps lower settings? thanks. thank you for the quick reply. hows the upgrade ability on this? i’d Like to move up to 1440p 144fps in about a years time. is that viable? and pertaining to games, what would I have to upgrade first to achieve 60fps in every game. thanks for your time. sorry, but to upgrade to 1440p 144hz/fps and get something that will hold that kind of performance will likely set you back quite a bit. even if you were upgrading from this build you would have to replace most of the parts (except HDD and SSD those sorta things) below is a like to build that I recommend for a good 1440p 144hz setup (if you can afford it) if not then you can downgrade to a 1080 and drop the ssd and things. definitely not rambling bro, i really appreciate it. It’s very insightful. I didn’t realize how big of a jump that was though lol. maybe I’ll just stick with this. would I be able to livestream with this setup? and would you say this could run destiny or overwatch. maybe the new battlefield? yes, but with limitations, being a quad core (and the new battlefield optimised for 6 core) the cpu would struggle without streaming, because if you stream then the cpu would dedicate one (or possibly 2) of it's cores to the streaming (lowering frame rate) I would suggest a ryzen 5 2200 cpu for budget 6 core. Can this run Rainbow Six Siege good? And can it stream good? Will the i3-8100 be a bottleneck to the rx 570? I like the build but looking at the parts list it doesn’t show a coolant method, is there coolant built into the case? the i3 8100 includes a stock cooler. Hello, I have a question for the sound card. Do you have a sound card already installed in the build or not ? Because I could be that buy the same build but, I just change the Core i3-8100 for a Core i5-8400 ( https://ca.pcpartpicker.com/product/LHYWGX/intel-core-i5-8400-28ghz-6-core-processor-bx80684i58400 ). Does it have an HDMI port? What would be the benefit of choosing this build over the similarly priced entry level AMD build? Can this build run games like Destiny 2 and Overwatch well? would this computer get 60fps or over on fortnite on low settings? Can this handle the HTC Vive well? You'll probably want a better graphics cards for running VR games in my opinion. What about oculus rift? I want a low budget vr computer for rift and it needs to run at a good 90hz for the headset, so will this computer at least be able to do that at minimum? Will this be good at pretty much any game medium-high settings at 1080p? I'm looking to build a pc for my son that is around this price point but is also capable of streaming and xbox one or mayne even the games he is playing on pc. Would this be a good match if I just add a capture card? or does anyone have any links to some build guides that my be more helpful. Also, am I missing it or is there no dvd/blu ray drive and no wifi/BT card? You can customize the parts list and add an optical drive if you want one. For Wifi, you will probably want to buy a network adapter or connect it via ethernet. Hello, quick question. Did you guys recently change the build guide? I ask because I used this to build my first PC (Yay!) and last that I checked when I clicked the link for the Memory it brought me to a webpage for the G.SKILL Aegis 2 x 4 GB (Link below) Page rather than what's listed above... The only reason I'm just now asking a week or so later is due to the fact that I've recieved the package and they do not fit... Thanks a bunch! Or maybe I'm just not pushing them in hard enough... Derrr, dumb me. Either way still interested if you guys changed it and if so why. Sorry! Thanks! Why has the memory been changed to something else? I would get the AMD build if you want upgradeability. I currently have a 2012 MacBook Pro that runs games at about 20 fps... as you can tell, this is kind of a problem. SO, I'm looking for a new monitor that will do the job. Are there any recommendations? Or does it not even really matter which one I choose? I think this was explained before; games like Fortnite and Overwatch will run at 60fps 1080p (I think?) but if you want to stream them as well, you will have to compromise your in-game settings quite a bit. As for ping, that has a lot more to do with heavy internet traffic or low bandwidth available. So yes, if more people in your home are using the internet at the same time as you, you may have higher ping. Hope I answered all of your questions. Where are the cooling solutions? cpu/case fans? Do you think it can run pretty good games like rust or gta 5 at least at low settings? in 60 fps? Oh yeah easily, most likely even above medium settings. I'm looking to build a better PC since my really old one is breaking down. One of the games I play (Black Desert Online) is very demanding. Does anyone here know if this build will work fine or if I should go for something a little faster? I am thinking about building this but before I buy parts, I wanted to see if anyone had anything to say about the CPU's comparison to others. The i3 8350k is pretty good but against other newer i7s and i5s it seems to max out a lot. Is it worth spending $250 more to get an i5 8500k or i7 7700k? The 7700k is a gen old anyway. It is not compatible with the 300 series chipset. Well it depends what you want. For gaming the video card is more important than the CPU. But if you have the money and want to futureproof a little bit then I would get something like an i5 8400. But at that pricepoint you should also look at what AMD is offering. Ryzen has great value. So what settings could this run a game like say Rainbow Six Siege at? 1080p at a high (maybe a few medium) settings. You will get a smooth 60+ fps. R6 is well optimized..
Can this run total war games? 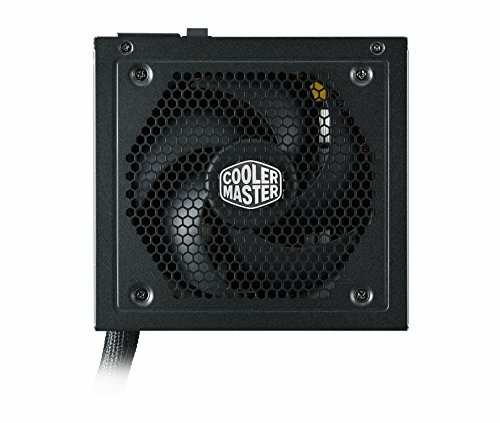 I am very new to this, so I'm sorry if this is a dumb question, but do I need a CPU cooler? The 1TB comes in handy since most games that aren't indie titles are huge (50+ GB). You can save some money with a non-modular PSU but the extra cables will be harder to build with if you're a first-timer. You can go without the HDD if you want to. But just remember if you have constantly more than 70% of the space on the SSD occupied the SSD will get worn out quicker and die sooner. You can always add a hdd later on. And NO I would not go cheaper than the CX450 by corsair. The PSU is an investment in my honest opinion. I usually recommend getting a good one in the first place so you can use it for your next build..
Nice build! I would just spend an extra dollar for ram at 3000mhz! Brand new mobos come with SATA cables. I have a question i was just wondering if the pc can run rust at meduim graphics? Will it run stuff like dark souls or resident evil? Maybe some of the newer triple a games? No.. you are good with just the SSD. If you want to get just an SSD then I advise you to get at least a 500GB SSD from the start. You can always add a Harddrive later. Would this build be able to run Rust, CS:GO, and DayZ at med settings? If not, what would I need to upgrade for it to do so? I'm new to pc gaming would this be a good pc to go with I wanna play games like rainbow six siege and fallout 4 etc. If you are looking for smooth gameplay at 1080p I would suggest going for a slightly faster build. Something in the line of Ryzen 1600/2600 or an Intel i5-8400 (although Intel is a bit more expensive), paired with a GtX 1060 (6GB Version) or an RX 580 (8GB Version). The other components will depend on your budget and overall future planning. Did the go up? Because this is $570. There appears to be a typo: your build description says you use 2TB storage, while the actual build features a 1TB drive. How would you use the network adapter to connect to WiFi? The current motherboard on the list does not have a built in WiFi, it has an ethernet jack (RJ45) that you can plug in your cable directly into the mobo. You will need to buy a separate adapter if you like to use WiFi. Anyone know if this build would be able to run battlefield 5 at all? If not what builds would anyone recommend that can run bf5 at the cheapest price point. Thanks. I would probably go with a Ryzen 1600/2600 and an RX 580 / GTX 1060 depending on which you can find the cheapest. Do I need to also get a WiFi adapter or does the mobo come with WiFi? Also could someone review my build? https://pcpartpicker.com/list/nhwrsZ I would have used the gtx 1050 but I was on a tough budget. Did you already purchase/built this? For the motherboard, yes, you will need to buy a WiFi adapter if you are not on an ethernet cable. I think your build is fine, but that depends on your needs and what you are going to use it for. how would this rig run mods, also would this setup fit in a larger tower? Havent really built a gaming rig in years I assume this build is a good foundation for me? Especially if I want add better parts in the future ? It really depends on what parts you would like to be upgrading the rig with. This current system will be okay, but if you would be looking to get a more powerful GPU/CPU then you will definitely need to upgrade the motherboard and PSU at least. Okay what is the next level up for the psu/gpu/CPU ? In my optionion you will be looking to upgrade the system to a minimum of a GTX 1070 with a i5-8600k for example. I don't think it will be worth upgrading to a AMD 580 or a GTX 1060 as they won't provide a massive upgrade to the current system. PSU will depend on what GPU and CPU you pick as some tend to draw more power and some don't. It will really depend on what resolution and what you are looking for when gaming - better quality, higher FPS, etc. ok perfect! thank you so much for the help. I also added those parts your suggested to my build and it added about 400 more dollars. BUT the only games I really play alot on pc is WOW. Also I plan on moving into what they call (AAA) games eventually. The parts I suggested are going well into the midrange tier builds so it is normal for the price to bump quite a lot. If you are planning on upgrading this type of a computer in less than a year after you bought it, then it might be worth considering if your budget will allow you to build a better machine outright now. I am looking to build my first PC so I dont want to spend too much money, you know, incase I mess it up royally and it doesnt end up working. Wondering with the above whether there is any room to improve this if I were to buy new parts later on down the line so as and when I wanted to I could upgrade it to a higher end build. I dont know enough about building PC's to know about the restrictions of upgrades etc. For future upgrading, your budget will most likely increase quite a bit. - you will need to buy more expensive parts which will support a wider range of other components. Mainly the motherboard. This will depend on your preferred resolution or what monitor / TV you will be playing on. Higher the resolution - the higher your budget will need to be. You will need to know that if you pick a specific socket, you will for most part need to stick with it for the future as well. i.e. AMD or Intel based. This is a good base to start, BUT you need to know to what you will be upgrading in the future in order to buy/change the most relevant items. Also, I don't understand why people are so afraid of building computers. If you take your time and look up some guides on how to build one, research ALL of your components one by one, read all of the available manufacturer manuals/guides - you should be fine. How would this build run farming simulator 19? is the i3 8100 core a good pair with the Trident Z RGB 16gb DDR4 3200? You should be looking into whether your motherboard will support the speed and RAM capacity rather than the CPU. Never heard of parametric. Are they reputable brand? I think you got confused, "parametric" means more like a "filter" here. This isn't a brand, what it means is that they have placed some parameters for this system so that it shows you the best priced items under the specified "parameters". "Parametric filter" for any "Radeon RX 570" - meaning that it will list the cheapest non reference RX 570 card. I’ve never owned a PC other than a generic home computer and I’ve always been a console player. I want to convert but my knowledge is limited so forgive me if this question sounds a little dumb. Would this build allow me to play older RPGs like Fallout 3 and New Vegas and Skyrim? Would this setup run Farming Simulator 19 and mods? Depends on what resolution, graphical settings, etc you are asking about? For 1080p it should be fine, but I would suggest to add more RAM as 8GB is just at the "required" amount when I looked into FS 19.
how would i get windows on this computer? Do you mean how to install it? First, you download and install it on your drive. Then, you enter your code purchased from Microsoft. I have made the build and it is working but right now i am confused because the motherboard uses 4pins for fans but the fan that came with the case is a 3pin so I want to know if i can use it or not and if so is their a specific 3 pins of the 4 i need to use? You can use 3-pin fans with 4-pin headers. Consult your manual for more details and help. will this pc run vr well? How much fps can you get when you play r6s or csgo on it? Hello. First, thanks for putting this together! I'm looking to build a gaming computer for my son; he's about to turn 11, mostly plays roblox, but wants to play subnautica, and will probably eventually get into games with more requirements. I've already got an HDD and power supply, so want to spend the leftover money where it would be most beneficial. Will prob go with a more name brand SSD & RAM. What i5 would you recommend for this budget build? Thanks! Edit: Also, would eventually like to run VR (Oculus or something similar). Edit 2: I made some guesses/tweaks, my new list is here: https://pcpartpicker.com/user/complete_n00b/saved/NTrKBm. Thanks! This is my first time trying to build a pc, would I be best off buying everything on this list? I might want to change the case but that’s it cause I don’t know much else. The games I’ll be playing are mainly rpg, racing and gta v. Just need some advise please and thank you. Would this be able to run games such as CS:GO or Fortnite? Would this be able to run Apex Legends? If not, would switching the CPU to a Intel Core i5-8400 (or even an older generation) help? According to these sources, the i3-8100 should be able to handle Apex Legends. As for the compatibility of the i5-8400 with this build, I'm not quite sure. Someone with better hardware experience than I can help you there. However, I'll definitely be playing Apex on this build once I have enough money to upgrade from my sad little dual core i5-5200u. Hope you find this info useful. How about a fan for the CPU? It is a bad idea if I use an i7 instead of an i3 so it is a faster computer. Why use the MSI - B360M PRO-VDH over the Gigabyte - GA-AB350M-DS3H? The only thing you are missing out on is crossfire support I believe, and that usually isn't a priority on lower end builds. Save an extra $12? Would this build be better than an msi ge62 apache pro with a 970m and 16 gb ram? I want to start building a desktop but I also don't want to downgrade at all only looking to improve. thank you! NEVER buy Toshiba storage, no matter how cheap it looks. I bought one once, it failed and i lost a 1TB of data. Never go cheap on storage, but If you have to buy cheap, then buy the cheapest Samsung storage. You will thank me for it in the long run. Would it be possible to change the rx 570 to a rx 580? The RX 570 is considerably faster than the RX 560. Clock speed alone doesn't really mean anything, as one chip at 1GHz can be much slower or faster than another at 1GHz. Makes sense, now the $30 price gap doesn't seem big now. The case mentioned here is costly. Can anyone suggest an alternative to the case mentioned above but a little bit cheaper(around $100)? What case are you referring to as being "costly"? The one on this build at the time of your comment is around $50, and has literally never been as expensive as $100 (except for once around last April Fool's day). Did you mean to post this comment somewhere else? The Entry Level AMD build can be found here. How does this fare against an xbox one x? 500$!? what frames would it run fortnite smoothly on? Good build but a bad choice for the CPU. the Pentium G4560 has only 10% lower performance than the i3 but is significantly less cost. Also, I would recommend going for 1 8gb stick of RAM, as dual channel does not a whole lot of extra performance, which means that you can spend less on a MoBo with just 2 RAM slots. It still leaves upgrade options though. I agree that the Pentium is a good performer for its price, but the difference is bigger than 10% please don't give people wrong information here. It is also a bad advice to cheap out on a motherboard. You could go for a pentium g5400, it performs the same way an i3 does. No it doesn't. Please don't tell people that. It might perform the "same" if you are just web browsing, but most other tasks the i3 will handle much better. You have linked a 5,500 $ computer under a budget 500 $ listing? I don't think this is helpful to anyone. You made some unneccasry compromises there. Go Ryzen 5 route, 2600 $40 more. B450 mobo $10 more. 16GB DDR4 3000 for $66 more and an 8GB RX570 for $10 more. $126 more, still under $700. That would be intruding on this build guide.